Winnie the Pooh Eeyore Ears and Tail Set. This Eeyore Ears and Tail Set is made of super-soft velboa faux-fur. 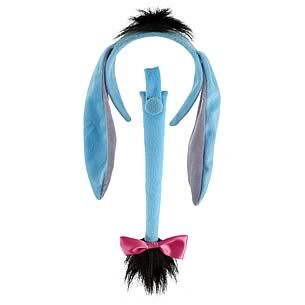 Features embroidered Eeyore artwork on the left side of the headband ears. Order yours today! Ages 3 and up.